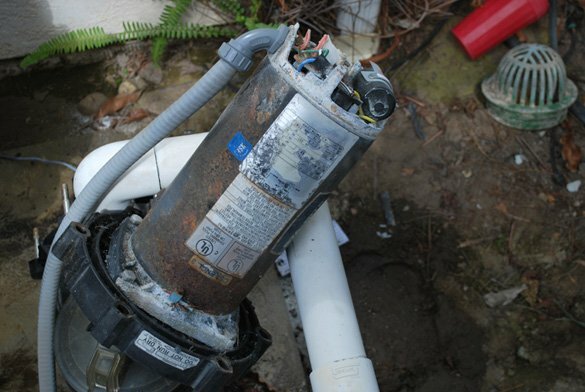 A Sabre Springs homeowner in San Diego called us about a spa booster pump that had stopped working. 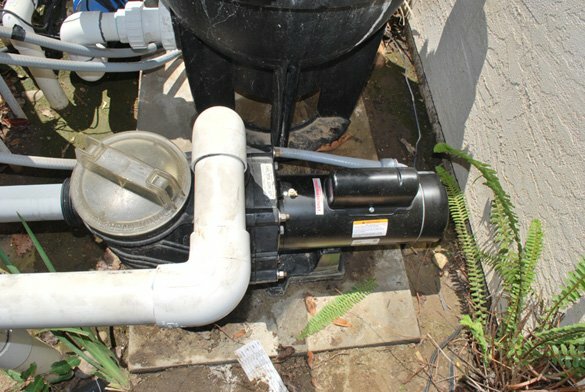 After leaving the pool equipment off for about a week while having the tile and pebble replaced in the hot tub and the calcium removed from the spillover, the jet pump would not turn on. 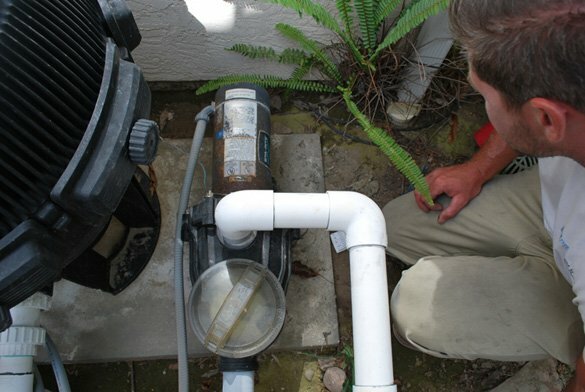 When the 2 hp Sta-Rite Dyna-Glas booster pump was turned on the motor was making a humming noise so the homeowner turned it off and got a hold of our office. We quickly scheduled a service call to troubleshoot the jet pump. On arrival we inspected the pool equipment and the swimming pool and spa. The pool consists of a medium size pool with an attached raised hot tub. 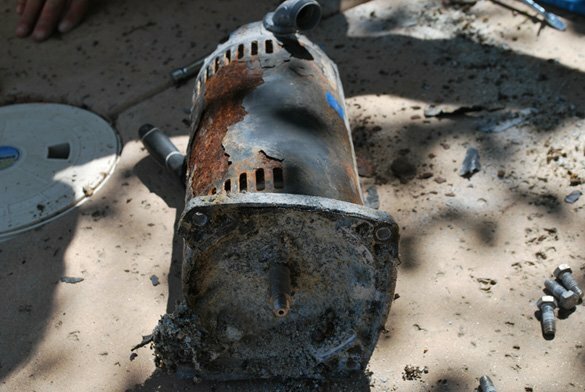 When we attempted to turn on the spa jet booster pump the motor hummed and after a few seconds tripped the breaker. We removed the old motor which was no longer working to inspect the internal parts. 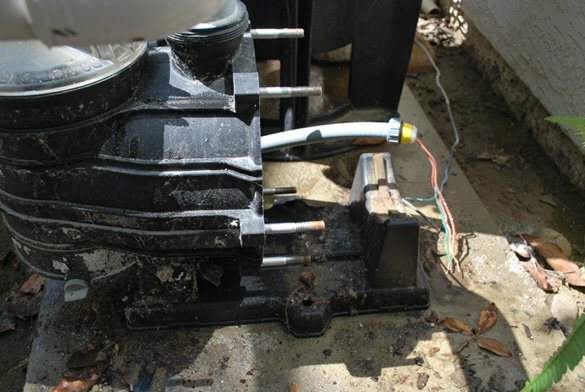 The parts were in good condition so we replaced the booster pump motor with a 1.5 hp A.O. 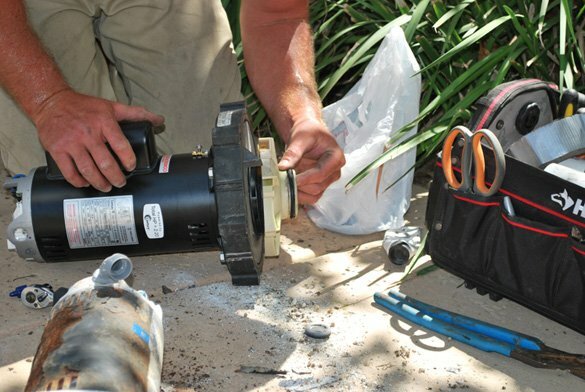 Smith – Century, energy efficient, single speed, full rated pool pump motor along with a new shaft seal and diffuser o-ring. Also replaced was the single pole industrial on/off toggle switch. The customer was very pleased to have the hot tub jets working again.